One of my favorite players on the World Champion Astros is their outstanding outfielder, George Springer. George was the Astros first pick [#11 overall] in the 2011 Major League Baseball coming from the University of Connecticut. 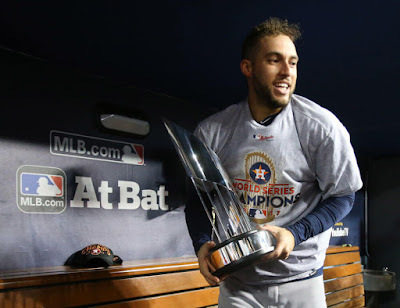 He made his debut with the Astros in April of 2014, and a little more than 4 years later would become the Most Valuable Player in the 2017 World Series, in which the Astros became champions by defeating the Los Angeles Dodgers 4 games to 3. George Springer in the field and at the plate was an exciting player from almost the moment he came to the Astros. He was a very personable player, always granting access to the sports press. I can still remember the first time I saw him being interviewed as the star of the game by the Astros 'TV on the field reporter', Julia Morales. I remember him with a huge smile and being such a nice man when answering Julia's questions. But I noticed he had a hesitation in his speech, like he was searching for words. I was worried as he was obviously a very intelligent person and wondering if something was physically wrong with him. So, I looked on google and somewhere I found out that he was a stutterer since being a child. That was actually a relief to me that there was not a medical condition. And then reflecting on it I thought to myself, wow, instead of shying away from his problem by not speaking so much to the press, he [one could say courageously] engaged the press, speaking publicly at every opportunity. 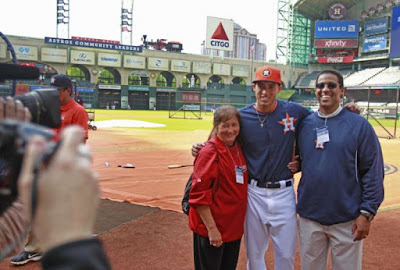 This elevated my admiration for George Springer exponentially. Later I was to learn, that George actually used the fact that he was a stutterer, to help kids who had other similar speaking problems. 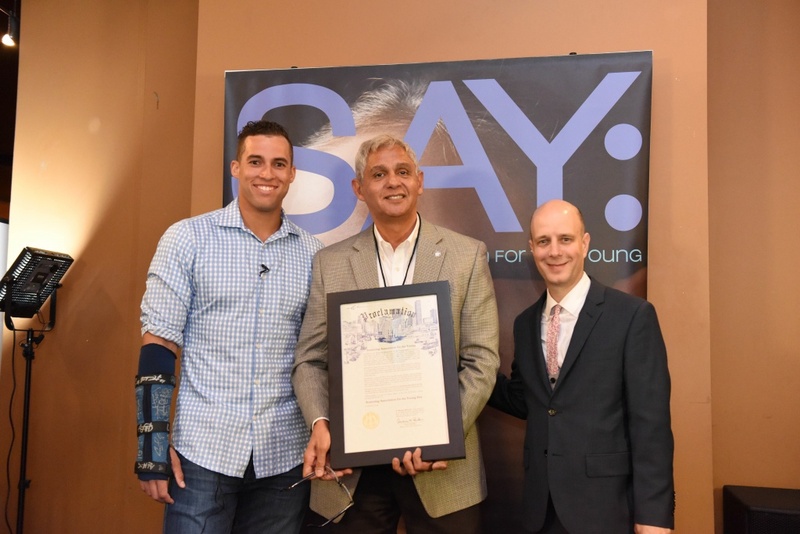 Now, as he has become a famous major league baseball star, he is becoming a great role model to kids all over the nation. Now in Houston he is taking his time off speaking to kids in the community showing them how he has overcome his speaking problem and how they can do the same. What a great addition to the Houston community, not just as an MVP World Series Baseball player, but as an MVP man. This is why I say George Springer's MVP award could also stand for Most Valuable Person. I love that most valuable person, great call!